Also known as Mont, Menthu or Monthu, and referred to as the “Lord of Thebes.” Egyptian solar/martial god, and Nome-god of Hermonthis (Annu Qemau). The Greeks identified him with Apollo and Ares. Mentu is depicted as a male deity with a falcon’s (or bull’s) head, clad in an apron, wearing a crown with a disk and two tall ostrich plumes, holding a phoenix wand in his left hand and an Ankh in his right hand; or brandishing a scimitar. His sacred animal was the bull. 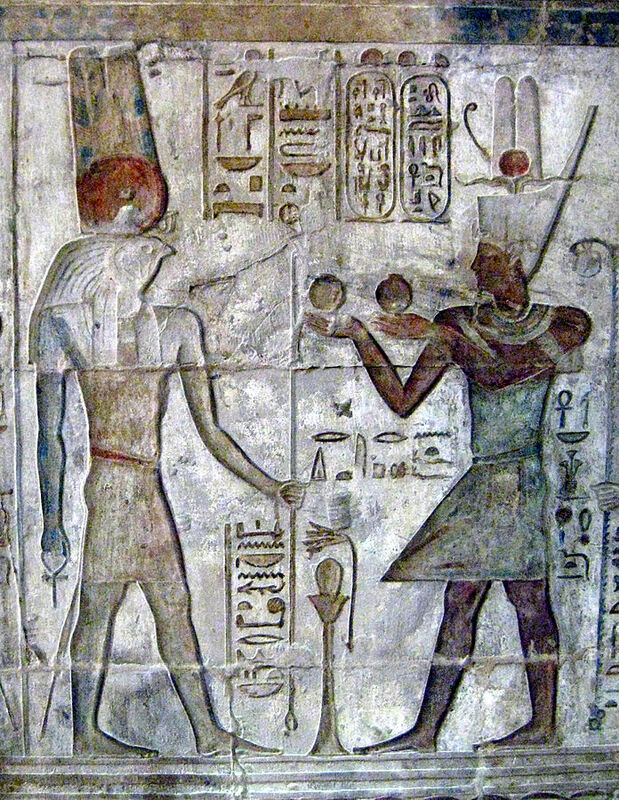 Ankh-af-na-Khonsu, one of Crowley’s claimed previous incarnations, whose funerary tablet served as the Stele of Revealing, was a priest of Mentu.